Freedom Week commemorates two important dates: The fall of the Berlin Wall and Veterans Day. For the anniversary of the fall of the Berlin Wall, rally students on your campus to stand up to those who want to restrict freedom by giving more power to the federal government by tearing down a mock Berlin Wall on your campus. 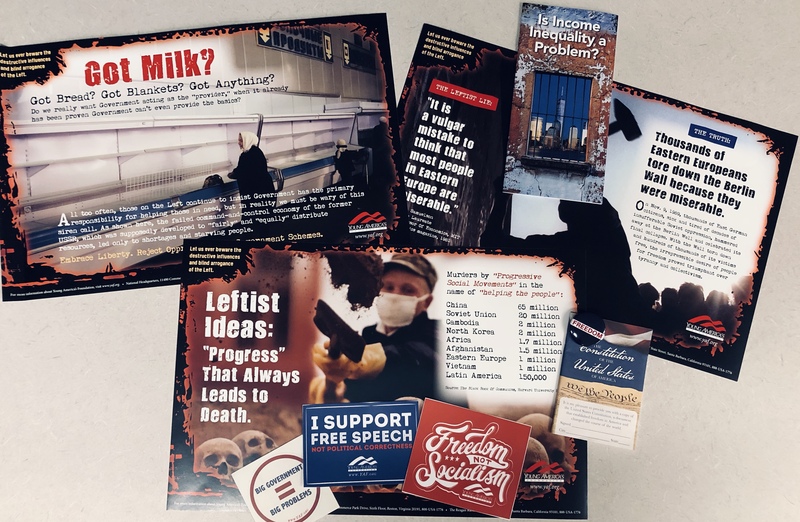 Your group can warn students about the endless misery, rationing, and despair that results from socialist policies and question why many leftist students and professors still advocate these concepts. This year, remember these days by standing for the ideas behind them. Young people must fight for financial freedom, or we will be indentured to the government for life. We must also stand with the men and women who risk it all for America’s liberty. Recognizing World Freedom Day and Freedom Week on campus. Educating your fellow students about how President Reagan freed hundreds of millions when he defeated communism. Showing the film, The Conservatives or Still Point in a Turning World: Ronald Reagan and His Ranch. Sharing freedom’s principles with your peers. Standing up for our Armed Forces and America’s veterans. You must have a college or high school id to order this package and if a high school name or college name is not submitted below, the Freedom Week Box will not be mailed to you.